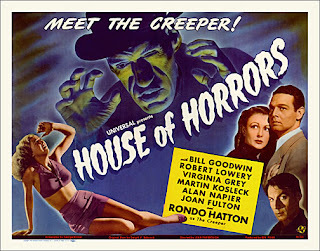 Synopsis: Renfield, a young attorney from London, arrives at a small Carpathian village. His fellow travelers are staying in the village overnight but he insists on continuing on to the castle of a local nobleman, Count Dracula. The natives turn pale at the very mention of the name, and beg him not to go. But Renfield is there on business, and insists on completing his journey. After an unnerving trip to the castle, Renfield finally meets the count, who signs documents to complete his purchase of Carfax Abbey in England. It is to England, Dracula says, that he will go the very next morning. Later, a ship drifts into an English harbor, all aboard her dead -- save for Renfield, who is now a stark, raving lunatic. Several boxes from the ship are delivered to Carfax Abbey. From one of these boxes emerges Count Dracula, who insinuates himself into London society, befriending Dr. Seward, owner of the Seward Asylum where Renfield is confined. The asylum is, we learn, next door to Carfax Abbey. Dracula meets Dr. Seward's daughter, Mina; her fiancee Jonathan Harker, and their friend Lucy. Meanwhile, a string of bizarre murders has caught the interest of Dr. Van Helsing, an unorthodox scientist and student of the occult. Two small puncture wounds, he finds, were on the necks of each victim, including young Lucy. When Mina relates a dream of a man coming into her bedroom and biting her neck, Seward is surprised to see that Mina has been hiding two small puncture wounds herself. But Van Helsing is not surprised. He insists that a vampire is attempting to make Mina its slave by visiting her over a series of subsequent nights. Mina can only be protected, he says, by locking her in her room, and sealing the windows with wolfbane and crucifixes, which vampires find repellent. Comments: Just in case you are wondering, this is Horror Incorporated's fifth broadcast of Dracula. 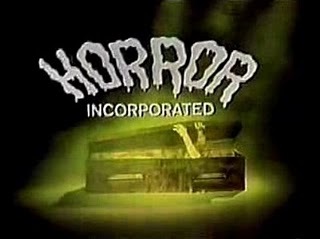 It remains the most frequently seen movie on Horror Incorporated, and as you may recall it was the show's first offering in November 1969. I've already written about the movie extensively (see here and here) so on this viewing I cheated a bit and did something that no viewer in 1971 could have done: I watched it accompanied by the Philip Glass score. That score was commissioned by Universal for a 1999 video re-release (initially on VHS, and added a few years later as a feature to the Legacy Collection DVD set), taking advantage of the fact that this early talkie originally had no score at all, save a snippet of "Swan Lake" over the opening titles and a short cue of ambient music when Count Dracula meets Seward and company at the Royal Albert Hall. Commissioning a score for the film was an interesting idea, a way to make a very old movie seem new again, and Universal presumably chose Glass because he brought a good deal of artistic gravitas to the project as well as a proven track record with film scores over the years. Glass decided to write his cues for a string quartet. At the time he claimed he was trying "to evoke the feeling of the world of the 19th century - for that reason I decided a string quartet would be the most evocative and effective. 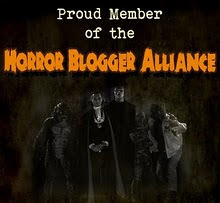 I wanted to stay away from the obvious effects associated with horror films." Alas, buried within this innocent quote lie the seeds of Glass' failure. The use of a string quartet isn't a bad decision of itself - it lends a certain warmth and hominess to some of the early scenes in England. But it also points to an uncertain approach to the material. Glass is a minimalist, stylistically unsuited to doing a lush orchestral score. And he is also a modernist, with an atonal, hypnotic style. Clearly he wanted the project to be taken seriously, and so he composed music to accompany, rather than underscore, a classic film, and deliberately avoided writing a score that toiled in the service of -- you know -- a horror movie. As if to compensate for this uncertainty, he seems grimly determined to give Universal its money's worth; 65 of the film's 75 minutes now feature the Kronos Quartet sawing doggedly away at Glass' signature two-note themes. Considered as a film score -- and we must consider it as such, even if Glass does not -- it is surprisingly clumsy and ham-handed. One cue is nearly indistinguishable from the next; Glass attacks the stagecoach trip through the Carpathian mountains with the same busy indifference that he lends to the drawing room scenes and the Carfax abbey scenes and the Castle Dracula scenes . 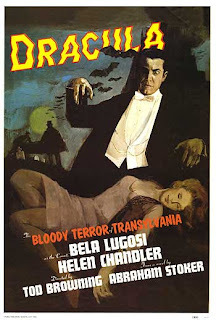 His composition noodles along at more or less the same tempo throughout, walking so indiscriminately over the actor's lines that you would be forgiven for thinking that Dracula was a silent film. Unfortunately, Universal didn't mix the audio well, so the volume of the score never varies; it's loud enough in each scene to take attention away from what's happening on screen. But remixing the audio track probably wouldn't have made much difference. As interesting as the score is as a stand-alone project, it's too busy and intrusive to add anything to the proceedings. 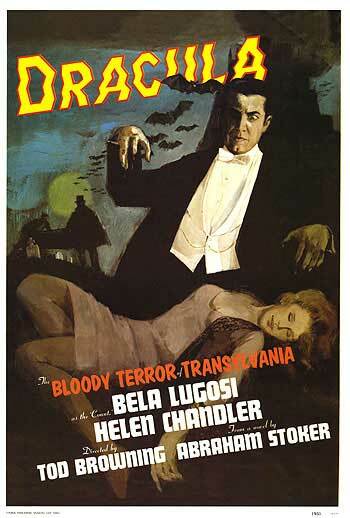 Dracula is a much more effective film without it. Despondent, De Lange walks down to the waterfront. He is about to throw himself in when he sees a half-drowned man surface nearby. He goes down to help the large, ungainly fellow out of the water, and returns to the loft, where he nurses him back to health. I see here in the evening paper that a woman was murdered in the neighborhood last night. Yes, her spine was snapped. I've often wondered why a man would want to snap a woman's spine. An annoying habit on the part of women -- screaming. It's all there, isn't it? An accusation, an admission of guilt, a question about the motive and an answer. And most importantly - De Lange offers his tacit approval. It's at this point that DeLange expresses his anger at the ruined sale, and his hatred for F. Holmes Harmon. 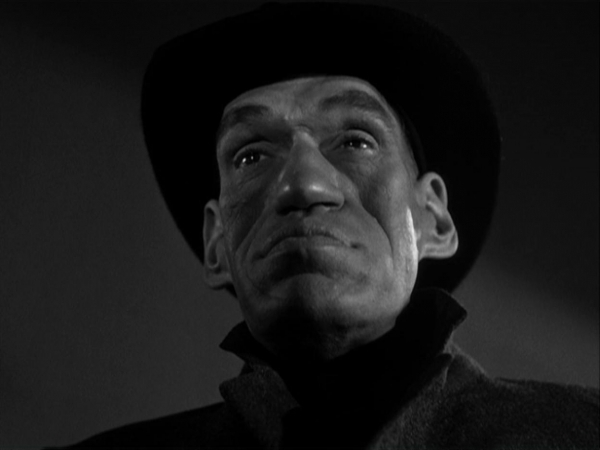 And he also just happens to mention the building in which Harmon works. This is the strongest evidence we have that DeLange really is crazy -- he isn't simply a man who's been pushed to the breaking point. Joan Medford describes DeLange as a crackpot; but interestingly, we see no outward evidence for this, besides his chasing Harmon and the art buyer out of his loft with a knife. That's hardly noteworthy, though, considering he's a tempermental artist and he's just had a snooty art critic not only insult him, but ruin a $1,000 sale. In fact, Medford seems thinks DeLange is crazy because of his artistic style; and in fact we can surmise that in her world, Steve Morrow's pinups are sane because they are popular; and DeLange, because his work does not sell, must not be sane. But of course DeLange's work suffers more from a lack of imagination than a surplus of it. House of Horrors imagines a world where art criticism is a blood sport, and artists are elevated or ruined according to the whims of men every bit as sociopathic as DeLange or the Creeper. 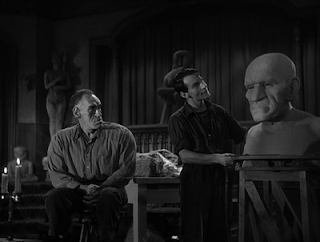 Harmon and Ormiston come off as particularly cruel because they take no artistic risks themselves, and we aren't sorry when they come to a spine-snapping end at the hands of the Creeper. There isn't a lot of intentional humor in House of Horrors beyond some dreary comic-relief lines given to the goofy morgue worker ("Gee! If the Creeper's still alive, I'm gonna put in some overtime!"). But Joan Fulton's Stella has some fun moments as Morrow's studio model -- each time we see her she's standing with a tennis racket raised high in the air as if ready to serve. As soon as there's a knock on the door or a ringing telephone, Stella immediately drops the racket and walks off. And we can only envy Steven Morrow, who hires a fetching cabbie played by an uncredited Janet Shaw. Don't think for a second that Joan Medford didn't notice. I have to agree about the newly scored version of DRACULA, as I couldn't get through the innkeepers' meeting before silencing the 'pains of Glass.' The attractive teenage Joan Fulton had gained some weight when she played the bandleader Sweet Sue (now Joan Shawlee) in 1959's SOME LIKE IT HOT, and was really plump by the time she played Ernest Borgnine's secretary in 1971's WILLARD. Still, I too would have remembered her phone number!